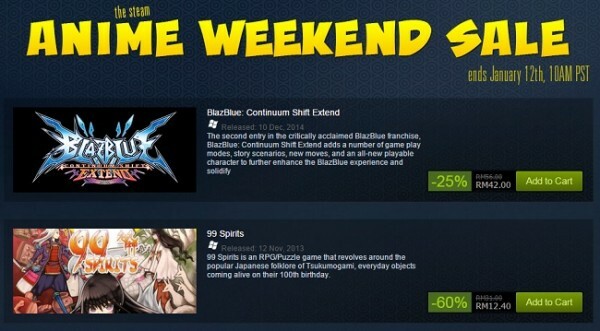 Steam is holding its first anime game weekend sale, with over 40 Japanese style titles going for up to 75-percent off. While the online storefront has only recently ended it’s big year end sale, these titles were unnoticed and are now getting their turn in the spotlight. While it is being called the Steam Anime Sale, most of these games are not actually based on any particular Japanese animation or manga. They do, however, still closely follow the anime art style that is popular with fans. It’s hard to say how good these games are, but some (like the two BlazBlue games) have an excellent pedigree behind them. For some reason The Legend of Korra has also managed to sneak into the sale as well, despite being a Nickelodeon production and being quite removed from the others.